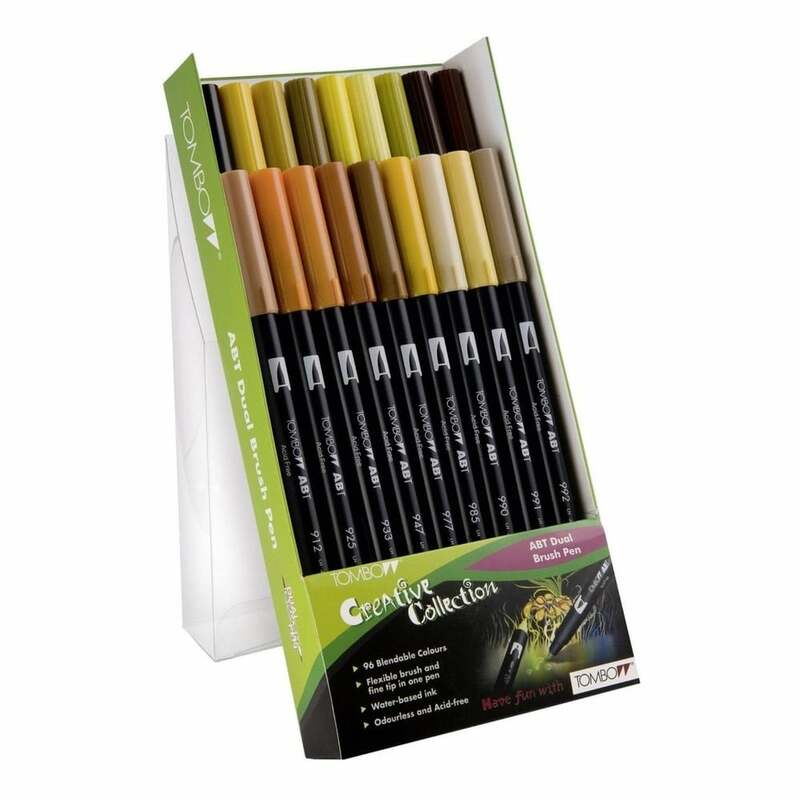 This Tombow Dual Brush Pen Earth Set contains 18 of these versatile markers. Tombow Dual Brush Pens work like watercolour paints, and blend effortlessly. The fine tip is perfect for tight drawings and consistent lines, and the brush tip is just like a brush - ideal for creating fine, medium and bold strokes and yet is soft and durable, yet tough! These pens are particularly popular with graphic artists, watercolourists and card makers (they are fantastic for rubber stamps!). The two tips make it versatile for any project from simple colouring in to complex art pieces. The ink inside the pens won’t bleed, is Non-Toxic, odourless and acid-free. A bit about the brand: Each Tombow product is a successful fusion of beauty, ergonomics and technical perfection. Tombow’s product and company philosophy gives also importance to the protection of environmental resources.